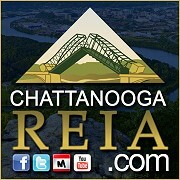 Chattanooga REIA Members can Watch Our Webcast Replays 24/7 here on our Webcast Replays Page after logging into the Members Only section of our website. Some of these Webcasts Replays are available to non-members as well and do not require you to login to watch. Now displaying 21 - 39. Watch the Replay of the Beginning Investors Group Online (BIGO) we recorded live on February 28, 2018 with Paul Rossano on "How to Structure Deals for Passive Income Like the Top 1% of Investors!" The February 20, 2018 Onsite Renovation Group was held at a property being renovated by Chrissy Griffin located at 312 Kings Hill Ct, Lawrenceville, GA. This was a vacant, run-down, overgrown, hoarder house, full of junk that we visited back in August 2017. This house is now completely rehabbed and staged with ALL NEW EVERYTHING. Come out and see how Chrissy has transformed this old house into a charming, modern day home with a more open floor plan. At Onsite, Chrissy will share many of the lessons learned on this full rehab project. So, you want to learn how to become a millionaire? “Wanting” is never enough. Especially when you want to know how to become a millionaire. A lot of people want to become millionaires. To join the millionaire club, be sure to watch the replay of me, Tolla Cherwenka, at the Beginning Investors Group (BIG) recorded live on Monday, February 19th at 6:30PM at the Hudson Grille in Sandy Springs located at 6317 Roswell Rd in Sandy Springs. I have one goal if you attend and that is for you to become a millionaire! Watch the Replay of the Beginning Investors Group Online (BIGO) we recorded live on January 24, 2018 with Tom DiAgostino on "How to Buy Real Estate for Pennies on the Dollar with Tax Sales!" If you are an investor who is always looking for new, cutting edge ways to find more deals and make more money, please be sure to watch the Beginning Investors Group webcast we recorded live on Monday, January 15th at 6:30PM at the Hudson Grille in Sandy Springs located at 6317 Roswell Rd in Sandy Springs with our special guest speaker, Amy Ransdell. Please join us on Tuesday, Dec 19th at NOON for the Atlanta REIA Onsite Renovation Group (ORG), hosted by Don DeRosa and Dustin Griffin, to learn all about finding, funding, fixing, and flipping houses for big profits. This month’s gathering will be held at a renovation project by Andy Bloch located at 859 Custer St, Hapeville, GA.
BIGO Replay: What You Need To Know About Creative Deal Structuring! Be sure to watch the replay of Beginning Investors Group Online with Leslie Mathis we recorded on March 22, 2017 and learn all about how creative deal structuring can help you generate more profits for your real estate investing business. When you find a seller with a real estate problem that you can’t solve by buying for cash at a discount, Creative Deal Structuring gives you many more tools in your toolbox for you to solve their problem giving YOU more ways to PROFIT! BIGO Replay: How to Jump-Start Your Real Estate Investing Business in 2017! Don DeRosa helped us kick off our first meeting of the New Year on how to jump-start your real estate investing business in 2017. If you missed the webinar or couldn’t get on because the webinar was full, now is your chance to watch the webinar 24/7 whenever you get a chance. As a new or “new again” investor, are you generating enough motivated buyer and seller leads each month to survive and thrive in today’s competitive real estate market? Are you generating at least 20-40 leads per month from your marketing efforts? If you’re not generating this many leads or more, you should watch the replay of the October 2017 BIG Online Meeting to learn how to generate all the motivated buyer and seller leads you can handle. BIGO Replay: Using Social Media to Explode Your Business! Be sure to watch the replay of the Beginning Investors Group Online with Mark & Anne Lackey we recorded on September 28, 2017 to learn how to use social media to generate leads to explode your business! BIGO Webinar Replay: How to Talk To Motivated Sellers & Make Deals Happen! Yes, it’s wonderful to have motivated sellers calling you and giving you all of the details about their situation. But do you know what to say to them? Do you know how to control the conversation? Do you know the right questions to ask to reveal their TRUE motivation? Do you know how to make them feel comfortable enough to open up to you and reveal their problems to you in hopes that you will have a solution? If you would like to learn how to talk to sellers, be sure to join us on the webinar with Frank Iglesias where he will teach you what he says to sellers to negotiate and close better deals. Have you ever wondered how successful investors are continually finding and doing profitable deal after deal? Did you ever ask yourself what seasoned investors look for and what they think about before they ever make an offer on any property? Have you ever thought about what makes a good deal and what is missing from the deals that you don’t want? If you would like to get the answers to these questions and more, join Larry on the webinar where he will teach you 6 secrets of how successful investors think through every deal they do and how they structure offers in multiple ways to buy any property. New investors often have lots of questions when it comes to evaluating a property and doing their due diligence. Questions like…How do I know if a property is a good deal or not? Should I do my due diligence before or after I get a property under contract? How do I determine the property’s value before and after repairs are made? How do I determine how much repairs will cost? How do I check title? How much valuable information can I pull from public records? If you would like to get the answers to these questions and more, this was a great webcast on doing your due diligence on all your deals. Would you like to learn the "Quickest, Easiest & Most Affordable Way To Get In Front Of Sellers”? If so, be sure to watch the replay of the Beginning Investors Group Online that we recorded with Bill Cook on May, 25, 2016. Bill who is a very active, full time real estate investor and trainer, spen 2 and a half hours with us teaching us all how to get face-to-face with sellers and make deals happen. This was a great meeting for new and seasoned investors alike who want to spend more time talking to sellers and putting win-win deals together. BIGO Replay: How to Get Started Investing in Real Estate! Don DeRosa helped us kick off our first meeting of the Beginning Investors Group Online on Wednesday, April 27th at 7:00PM ET. Don is a full-time, active real estate investor, mentor and trainer who specializes in all types of real estate investing such as wholesaling, creative financing on pretty house deals, rehabbing and retailing, rentals, short sales, foreclosures, new construction, private lending and much, much more. Join Don at BIG Online as he teaches you the quickest and easiest way to get started in the real estate investing business with limited time and funds. Watch the replay now on How to Get Started Investing in Real Estate! If you want to learn more about Wholesaling, watch the Webinar Replay we recorded live with Don DeRosa on April 13th, 2016 where he shared the Wholesaling Strategies you need to succeed and take you step-by-step through the entire wholesale process. Don DeRosa is a part time real estate investor trainer and mentor and full-time real estate investor who actively buys, sells and holds properties each month for fun, profit and long term cash flow. One of Don’s favorite purchase strategies is to buy houses "Subject-To" the seller’s existing financing on the home instead of having to go to a bank or a hard money lender for funding. Watch this Webinar Replay we recorded live with Don on April 6th, 2016 where he shared many of his subject-to strategies, tools and techniques he uses every day to create winning deals for himself as well as his buyers and sellers. Hey folks, Don DeRosa here. I'd like to personally invite you to watch the replay of the Creative Deal Structuring webinar that I had with Atlanta REIA on Tuesday, March 22, 2016. On this webinar I will show you how to become a transaction engineer and how to do something with every single lead you get.